Warm, southern states like Georgia have the pleasure of dealing with tick exposure all year long. 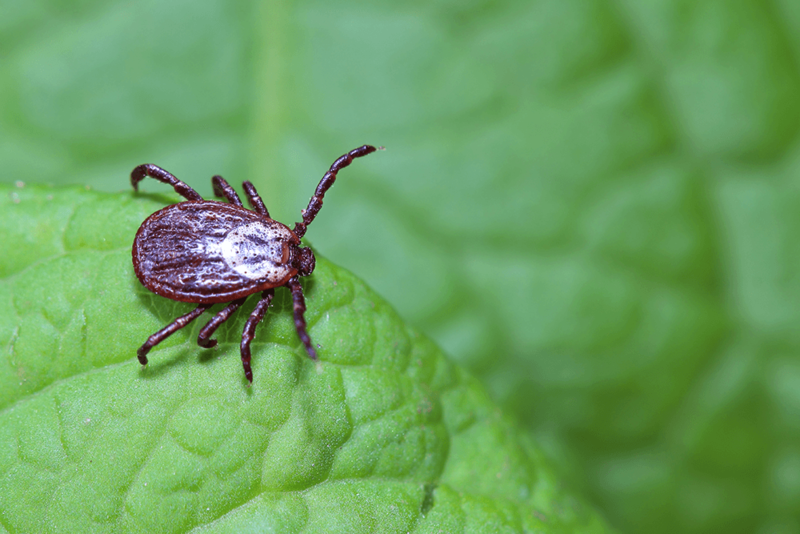 Starting in April, ticks are going to become more active, which means it’s time for you to get acquainted with the ticks that could be living in your backyard. Here’s everything you need to know about ticks in Georgia to get you geared up for tick season. There are a few tickborne illnesses out there, but the most well-known illness is Lyme Disease. Many other diseases can have similar signs and symptoms, so if you start to develop any of these symptoms, be sure to get seen by a doctor right away. Fever/Chills. With any tickborne disease, you can experience fevers at varying degrees. Aches and Pains: Headaches, fatigue, and muscle aches are common with tickborne diseases. If you have Lyme Disease, you may even experience joint pain. If you find a tick attached to your skin, the worst thing you can do is panic. The key is to remove the tick as soon as you can. There are plenty of tick removal devices on the internet but a pair of tweezers will work just fine. Use the tweezers to grab the tick as close to your skin’s surface as you can. Pull upward using steady and even pressure. DO NOT twist or jerk the tick because it can cause the mouth to break off and get stuck in your skin (yuck). After you remove the tick, clean the bite area and your hands with soap and water followed by rubbing alcohol. Get rid of the tick by putting it in alcohol, place it in a paper towel, and flush it down the toilet. If you see any of the symptoms we mentioned earlier after you’ve removed the tick, then you should go see your doctor right away. Know where ticks live. Ticks love areas that are grassy, brushy, or wooded. If you live in a wooded area or take frequent camping and hiking trips, you have a higher chance of encountering ticks than someone who lives in the city. Cover up. Wearing many layers of clothes in the spring or on a hot summer day in Georgia isn’t ideal, but neither is coming home with a tick on you. If you’re going to be walking through a wooded area or strolling through a field with tall grass, wear pants, long-sleeved shirts, and closed-toe shoes. Check your clothing. After being outside, check any and all items of clothing that you wore. That means looking in your pant legs and on your socks. If you see any ticks, tumble dry the clothes in a dryer on high heat for 10 minutes. Cold and medium temperature water won’t kill the ticks. Shower. Not only because you probably need it, but showering within the first two hours of being home has been shown to lower your risk of getting Lyme disease. It can help wash off any unattached ticks and is a great way to tick check yourself. We don’t want to freak you out, we just know that the best way to keep your family safe from ticks this spring is to be knowledgeable about them. If you have any questions about ticks or any other pests, feel free to reach out to us here.